One of the best ground cover perennial plants is the Mazus reptans. 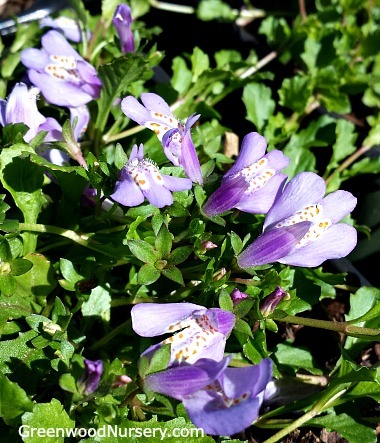 This ground hugger blooms tube like purple-blue flowers in late spring to early summer. Excellent for rock gardens and planting between stepping stones, the small leaves will tolerate foot traffic. Mazus reptans can also tolerate wet soil areas. A great companion plant for the Mazus reptans is the Mazus Alba. Mazus reptans is grown in 3.5 inch pots. Orders shipping to AZ and CA addresses will be bare rooted and root washed before being prepped for shipping.